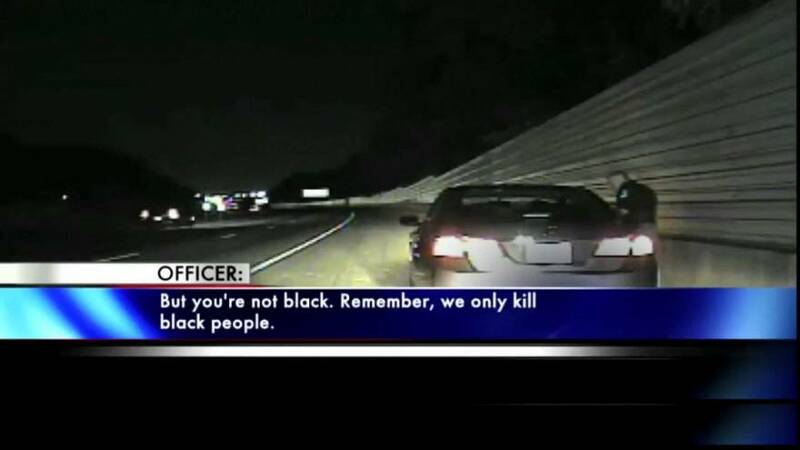 Georgia cop quits after telling motorist "we only kill black people"
A Georgia police officer who told a woman during a traffic stop not to worry because police “only kill black people” has retired. It comes after the video was aired on Wednesday by WSB-TV in Atlanta and authorities sought his dismissal. In the dash cam video Cobb County police officer Lieutenant Greg Abbott is seen standing by a car he pulled over in July last year. He tells the woman in the front passenger seat to use her cellphone to make a call. “Ok, I just don’t want to put my hands down,” the woman responds, adding that she’s seen “way too many videos of cops,” before trailing off. In an email Abbott’s attorney, Lance LoRusso said the officer was trying to de-escalate a situation involving an uncooperative passenger and that his comments must be observed in their totality to understand their context. about excessive use of force and racial disparities in the criminal justice system.